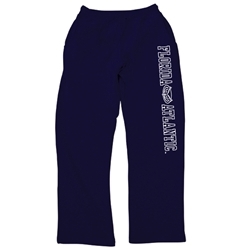 Pro-Weave open bottom sweatpants with on seam pockets. Pre-washed 80% cotton / 20% polyester fleece for limited shrinkage. Knit waistband with drawstring.